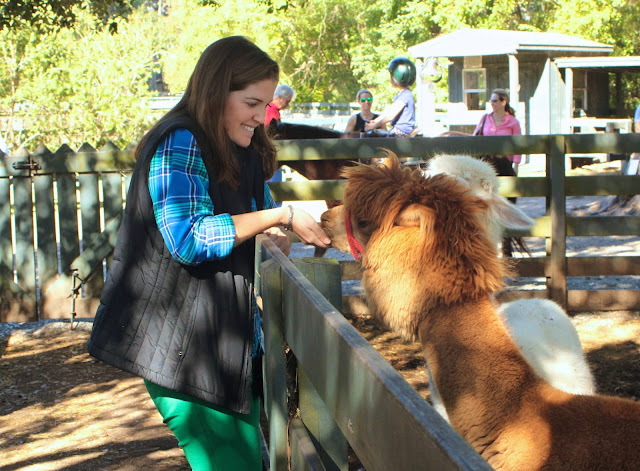 A couple of weeks ago, while we were in Hilton Head for Thanksgiving, we had so much fun going horseback riding. Lawton Stables is a fantastic family-run business, located in the Sea Pines plantation. I've been riding horses there for 15 years, and this time, it was so much fun to take Mike along. He'd never been on a horse and had a great time with me and my dad. 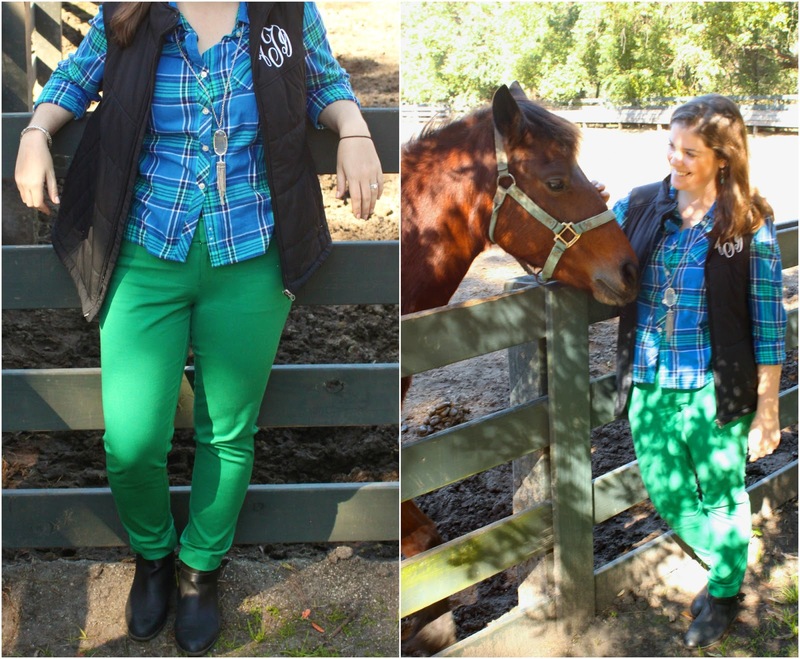 Obviously, I had to put together a fun outfit to go riding, and it felt like a great excuse to break out the plaid and boots. I've had this flannel for 3 or 4 winters, but every year, American Eagle comes out with fantastic ones just like it. The puffy vest is also a favorite piece of mine from the fall to the spring and might be my most-used gift from Christmas 2014. I love the green pants - so bright& colorful!!! I've been loving plaid this season, too. Maybe even too much haha. I love the mix of colors here, so pretty! I also really like the monogrammed vest, very cute! Perfect outfit for riding! 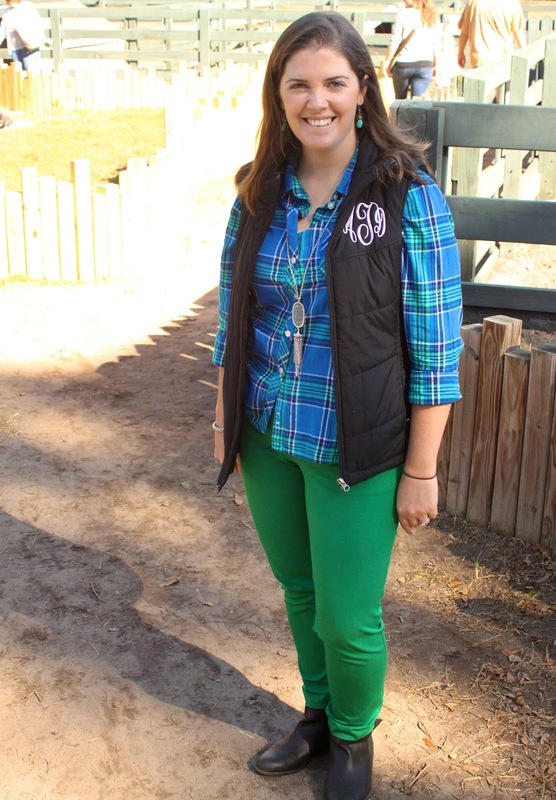 Love the flannel and the monogrammed vest! Oh my! I love the vest so much! SUch a cute outfit! This sounds like a fun day! 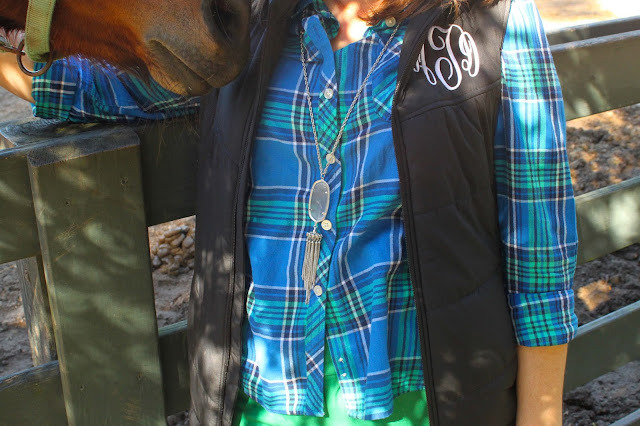 I am loving the monogrammed vest, it's awesome! A Merry Christmas, I Wish You!